"[19-year-old] Feyisa Lilesa notched a personal best of two hours, eight minutes and 47 seconds, an event record." - Ethiopian Feyisa Lilesa won the Xiamen International Marathon yesterday in a PR 2:08:47. As a 2010 sub-2:10er, he'll soon be in good company, as over 100 men ran sub-2:10 in 2009. Women's 1,500: Rowbury Is The Class Of Most Amazing 1,500 Quartet In American History Coming into the year, only two Americans had ever broke 4:00 outdoors. 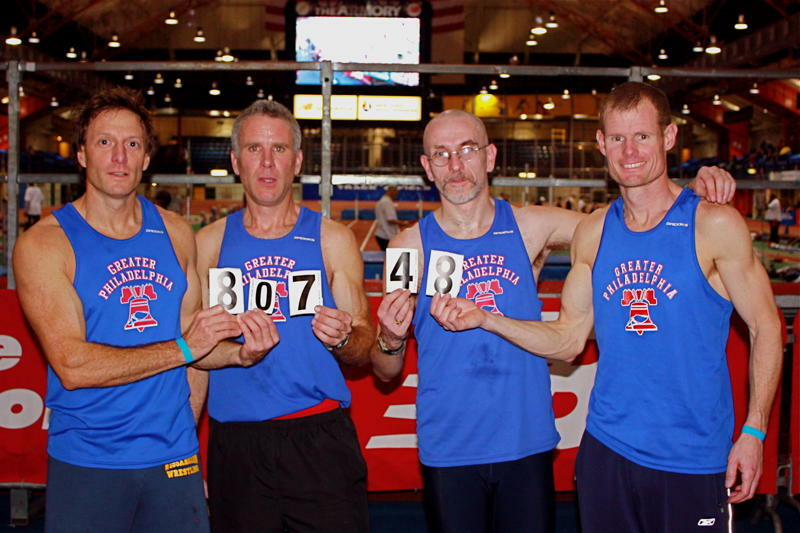 Well, this year, three Americans broke four and none of them were our #1-ranked metric miler for the year. 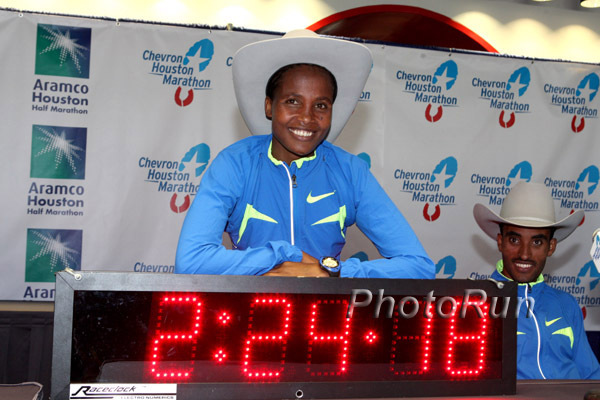 Ethiopian Teyba Erkesso debuted last year to the tune of a course record 2:24:18. Deriba Merga also won last year in a course record but will not be back. Filling his winner's shoes will likely be Kenyan Jason Mbote, Charles Kibiwott and Benson and David Cheruiyot. According to the article, Clark sometimes runs 120 miles a week in singles and no slower than 6:30 pace. He has hopes at the marathon. Moses Masai and '09 5,000m world champ Vivian Cheruiyot will headline the Spanish road 10k. Swedish track and field has been hit hard with injuries in the past couple years with Olsson, Carolina Kluft, Susanna Kallur and others no-showing or disappointing at the major meets. Olsson hasn't jumped in a big meet since 2006. He's also been involved in a minor betting scandal. Caster Semenya and her high-powered legal counsel have announced their intentions to sue track's global governing body IAAF for an absurd sum of money. They also plan to sue Athletics South Africa, but apparently since they don't have money, they're only going to sue Chuene and company for $20 million. Lawyer calls reports "nonsense." Either journalists made up quotes from his law firm or this guy is full of it. This revelation from Johnson's soon-to-be-released autobiography Seoul to Soul is certainly not proof that the disgraced sprinter was clean (he admits to using a designer steroid at the time). But it does explain why stanozolol was in his system at the time of the test, an occurrence Johnson has claimed must have been the result of tampering. Maduka became a multi-time All-American at Cornell and was an NCAA Honorable Mention All-American basketball player as an Ivy Leaguer (this never happens). Price led the US Olympic Trials as a 17-year-old but has found stardom at the college and pro levels to be a bit of a challenge. Theirs is one of the best sites on the web for running fans.